Stacked Suitcases Wedding Cake, a photo by CAKE Amsterdam - Cakes by ZOBOT on Flickr. 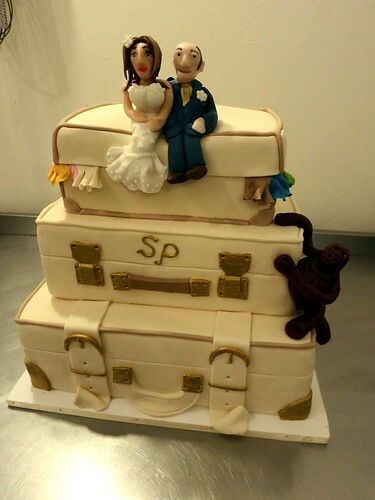 Shay & Phillip's Wedding Cake... A stack of suitcases with a gorilla crawling up it of course! The couple was headed directly after the wedding on honeymoon in Africa on Safari and in the jungle with gorillas.